I knew nothing about the God Wars series when I jumped into the Japanese demo of God Wars: Future Past. Other than vaguely hearing that it was a JRPG, I was mostly drawn to it from its gorgeous animation style and its old Japan aesthetic. As usual, my limited Japanese kept me from getting any major context from the story, but it seems to be based around Japanese folklore, with a beautiful princess and a journey that had me visiting multiple places in the demo alone. Mixed with a tactical battle system with its own unique twist and pretty visuals, my look at God Wars: Future Past has at the very least made me curious about it. After comparing what I thought the story was to the press release, turns out I wasn't that far off. Future Past’s demo opens with the Queen of the story’s land of Mizuho sacrificing one of her daughters to calm the spirits that the people of Mizuho had been neglecting. Neglecting the spirits had seen them begin to give natural disasters and this sacrifice was supposed to prevent the spirits from destroying their world. After watching this go down, Future Past switches to the perspective of the Queen’s other daughter Kaguya, who has grown up since being placed in a seal as a backup sacrifice. She's saved by her childhood friend during an attack and they begin their journey together, with the demo taking a look at some of the towns and battle areas that will be found along the way. One thing I can definitely praise God Wars: Future Past’s demo for is that it doesn't waste much time getting to the action. 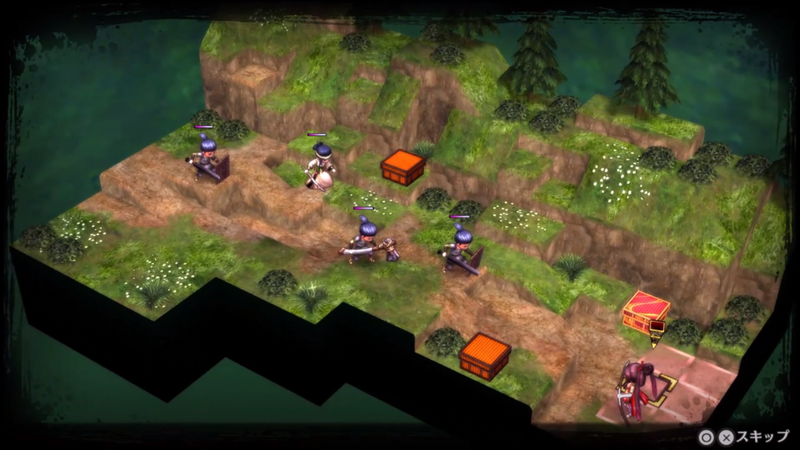 One of the first tactical battles is fighting to save the princess and that happens fairly early on in the demo. Thankfully, the turn-based tactical battle system will be very familiar to those who have played tactical games before and even with the language barrier, I was able to get the hang of it easily. There are a few things to make Future Past’s battle system unique, such as the Facing mechanic that makes the amount of damage you deal or receive change based on what direction you and the enemy were facing. Reading the website, there's also an interesting sounding Impurity mechanic that makes you more target-able when you attack enemies or heal your party. This mechanic sounds really interesting, although I probably didn't notice it due to the language barrier. Even so, battling was one of the funnest things to do it Future Past’s demo and is one of the most memorable parts of my time with it. 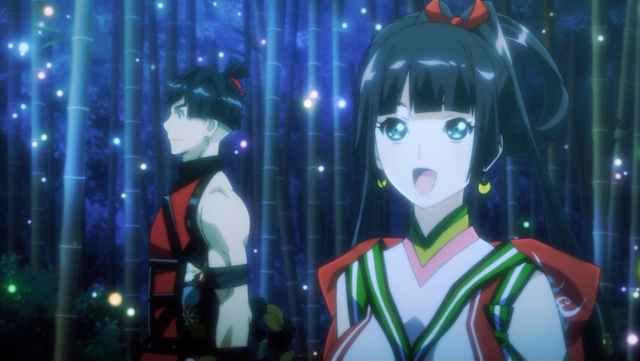 The another part of God Wars: Future Past I really liked were the gorgeous visuals. The beginning moments of Future Past are stunning and detailed anime-style cutscenes, battles look like they were painted and even though outside of cutscenes chibi-style characters are used, it all works together perfectly with the painterly look. The colourful and detailed art style is a true feast for the eyes and really brings the Japanese style world to life. 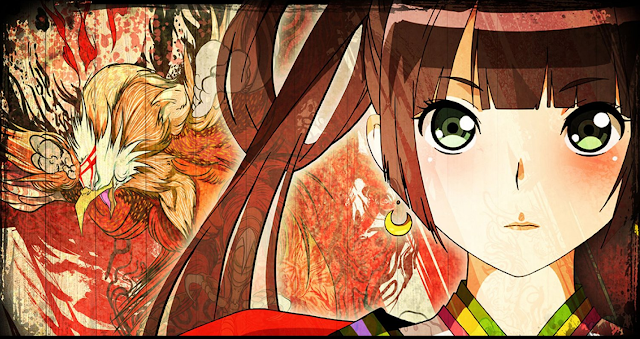 What I learned about God Wars: Future Past while playing its demo was that it's probably going to be an interesting and pretty way to experience Japanese mythology. The story of gods and sacrifice will likely make it a unique story and I’d definitely love to see more of its beautiful art style. I don't know if I'll be rushing to get it, but God Wars: Future Past’s demo was a decent-sized look at it and I’d recommend giving it a try if Japanese mythology is your thing. You can pre-order God Wars: Future Past at Play-Asia.com! 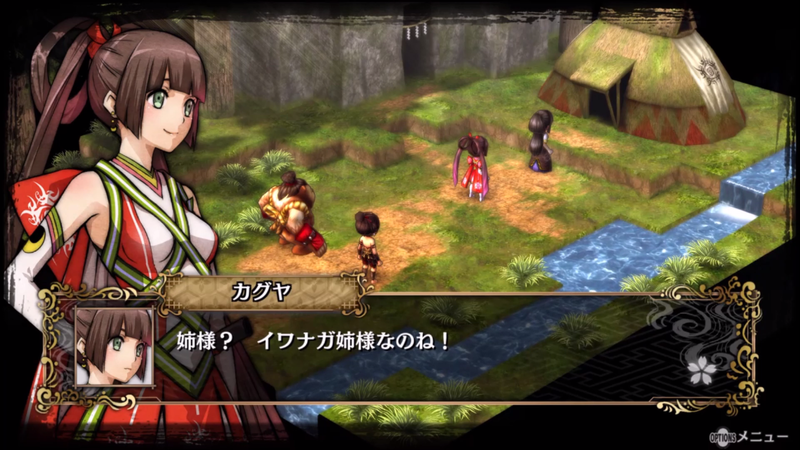 What do you think of God Wars: Future Past so far? Are you going to play it? It sounds good. I've been keeping an eye on it for awhile, and I played the demo off the JP PSN too - its definitely neat. This type of turn based tactical RPG usually never gets such a good art direction, and its nice to see this sort of... Okami-lite, ukiyo-e anime artstyle. With the vibrant color palette, its a really pretty game. MUCH nicer than this studio's last game (Natural Doctrine). It definitely made me interested... though I will say, I hated the anime cutscenes. Modern anime is something I'm generally not a fan of anyway - a lot of mediocre stuff out there days. But these character designs especially are bland, and our waifish little princess character DOESN'T HAVE A NOSE. She looks like an alien from profile. But that's just a pet peeve. The actual game seems quite promising. For me, the big problem is just when we're getting it. Now that it was delayed, its landing a lot closer to other tactical RPGs, including Gaijin Games' Summon Night 6: Lost Borders (which looks really nice too), and the heaviest hitter in this genre in awhile, SEGA's Valkyria Revolution (which is a fun demo if you haven't played it yet on the JP PSN. At least I thought it was fun - gameplay wise, at least. There's some "moe alien" in the designs there too for sure, and the character archetypes and storytelling in general seem super "mediocre anime quality", even through a language barrier, but that's just speculation until we see Sega & Atlus' translation). God Wars definitely has got some competition when it comes out now all of a sudden. And I'm glad to see a tactical game like this have such nice art too. Okami also sprung to mind for me!